My favourite wintertime beach where you can dig a hole in the sand and sit in a natural hot thermal pool at low tide, watch the steam rise from the sand and feel like you’re on another planet… The healing hot waters rejuvenate even the weariest of bones … Low tide in the morning gets busy, but the low tide in the moonlight, well that was something very special indeed. We couldn’t really see the waves rolling into shore but we could hear them… there’s something quite surreal sitting in hot water, on the beach, at night, with just the sound of the ocean, the murmurs from a few other mad bods, and odd flicker of their flashlight as they search for the perfect hot pool spot and their own dose of twilight healing. 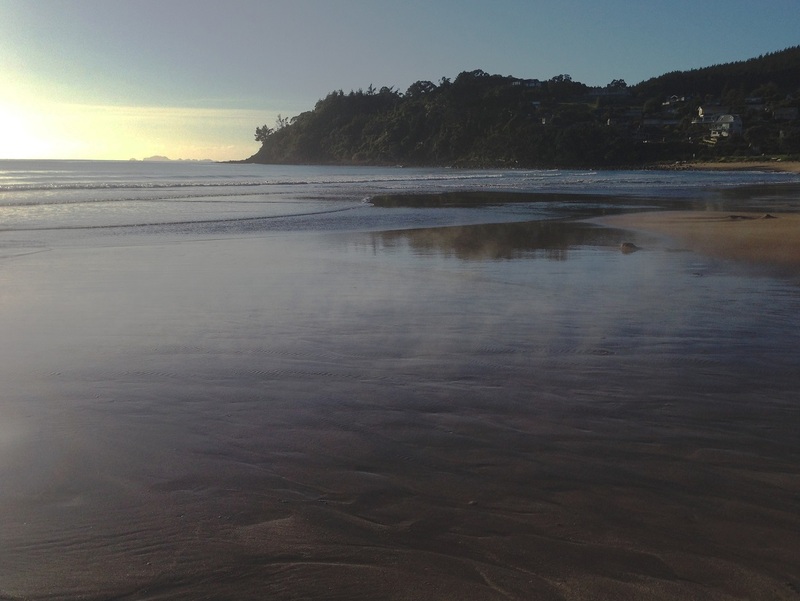 If you ever visit New Zealand, be sure to make the trek to the Coromandel Peninsula and find the Hot Water Beach, I’m pretty sure you’ll be glad you did. Hot Water Beach, North Island, New Zealand. March 2014. This entry was posted in dear monday, inspiration, Photography, travel, Uncategorized and tagged dear monday, dearmonday2015, new zealand, photography, travel. Bookmark the permalink.